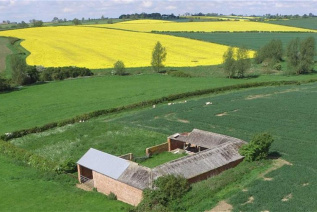 An exceptionally rare opportunity to develop a site consisting of an agricultural barn with planning consent for a barn conversion with strong eco credentials situated off a private track in idyllic countryside with uninterrupted views. 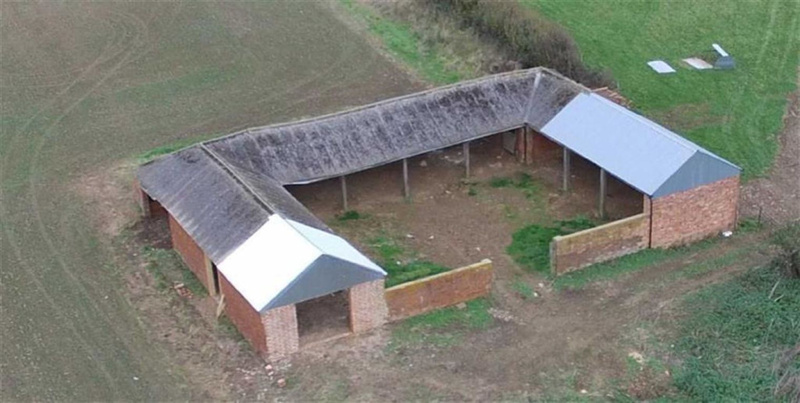 The Hovel at Fox and Hounds Farm is a very rare visitor to the market offering a rural development in a quiet private location with planning consent for a barn conversion, single storey garage, plant room and additional paddock land. The proposed scheme offers ground floor accommodation extending to approximately 2,221 Sq. 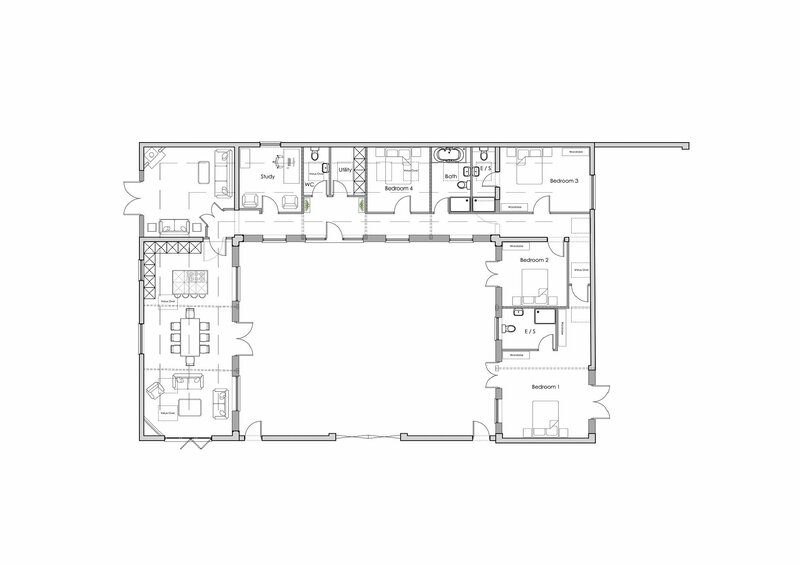 Ft. With a courtyard, garden, private access and a double garage and plant room. 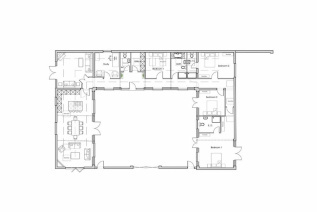 The scheme includes a large open plan dining living kitchen with doors to outside, separate living room, study, a large master bedroom with ensuite, three further bedrooms one with ensuite and two separate bathrooms. 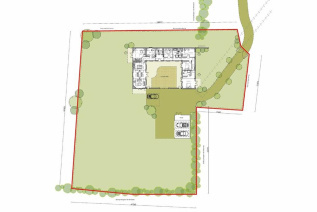 The property is accessed by way of a private track from Stonton Wyville which will be retained by the Vendor with all necessary rights of access to the site provided for. 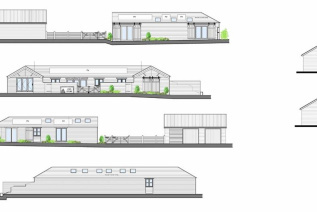 Further information on the construction and costs are included in the purchasers pack. 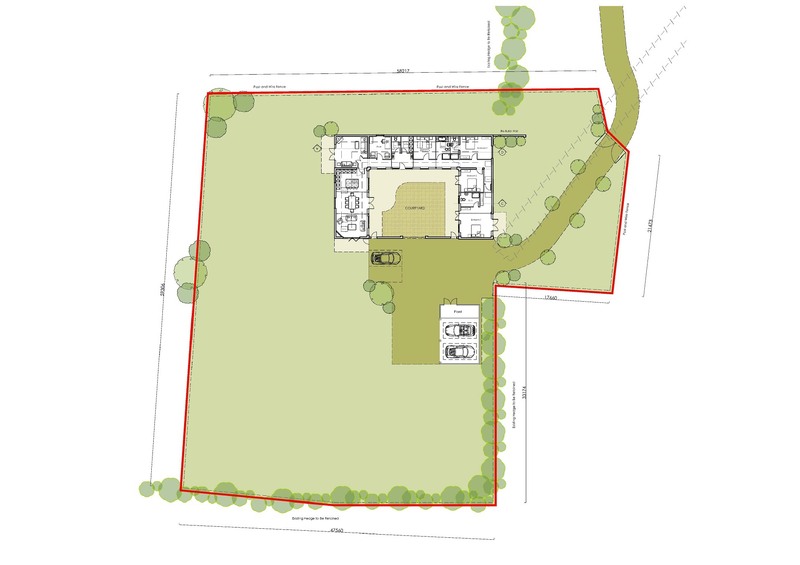 Proposed is an enclosed courtyard garden, gravel driveway with the garage and plant room and further garden and paddock land. The total plot extends to approx. 0.74 of an acre. Stock Proof fencing has been provided by the vendor. It will be the purchaser's responsibility to plant mixed indigenous deciduous broadleaf hedge where required and the boundary maintenance will also be the purchaser's responsibility. 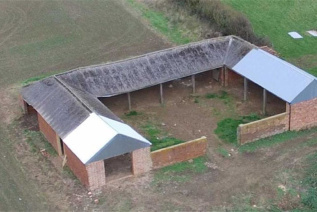 There is a protected badger set adjacent to the private track which is indicated in the plans in the purchasers pack. 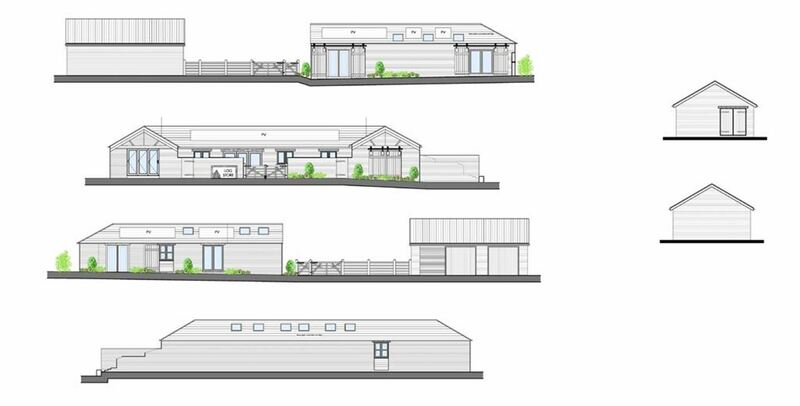 Planning has been granted with the aim that the re-use of the building is to enhance its immediate setting and ensuring that converting the home would turn it into a viable use to preserve the character and the appearance of the building and surrounding countryside. A purchaser's pack is available upon request which will have all relevant information. For all planning documents visit www.harborough.gov.uk. Planning reference 18/01/1980/FUL. 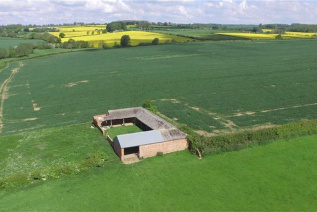 As this property is not connected to mains electricity or gas, the proposed solution would be Solar PV on site with a generator in the proposed plant room and an oil boiler to provide heat, at cost to the purchasers. Indicative costs are provided within the purchasers pack. Water would be provided from a nearby mains water supply. The connection will be the purchaser's responsibility. Further information will be provided in the purchasers pack with quotations for the installation of these services. Situated close to Stonton Wyville enabling good access into the nearby villages The Langtons' which provide amenities such as pubs, shops and schools. Kibworth sits to the west which has a further range of amenities. The thriving market town of Market Harborough sits just over six miles distant to provide rail access to London St. Pancras in under an hour and more comprehensive amenities. Proceed out of market Harborough in a northerly direction. At the first roundabout take the B6407 heading to Melton Mowbray. Upon entering the village of Tur Langton take a right hand turn as signposted to Hallaton. At the crossroads to Stonton Wyville take a left down the track into Stonton Wyville and then take the second right turn onto the track for 0.5 miles. As viewings will be accompanied we will give further directions upon request.